Illinois guard Brandi Beasley drives the lane during Illinois' 74-62 win over Bradley on Nov. 18. Beasley continues to put up double-digits, having recently recorded her 1,000th point with the Illini. 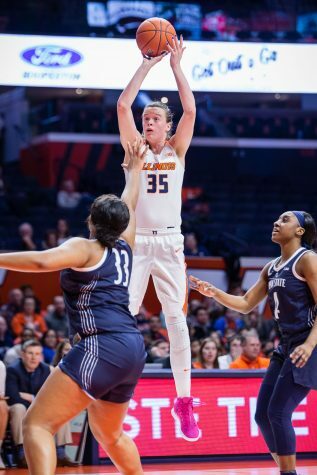 Following a fourth-quarter loss to Northwestern at home on Sunday, the Illinois women’s basketball team headed to Ohio State on Thursday in search of redemption. 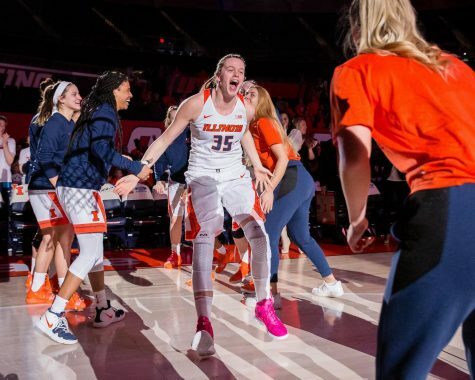 Instead, the Illini were handed their seventh-straight loss after the Buckeyes pushed past the Illini to a 78-70 victory. 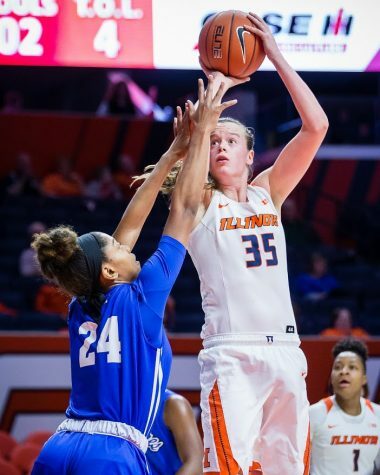 Junior Brandi Beasley’s 23-point performance kept the road match-up close through the majority of the contest, but a 30-point outburst by Ohio State in the fourth quarter sealed Illinois’ fate. 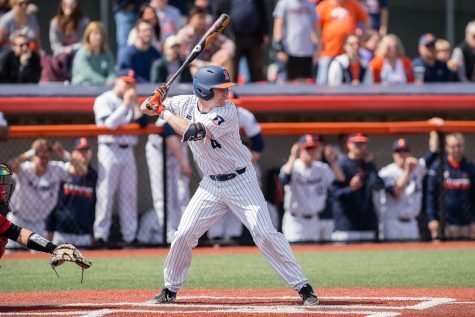 Despite Illinois’ losing streak, Beasley has been on an offensive tear the past four games following a five-point performance against Nebraska two weeks ago. In each contest since Nebraska, Beasley has recorded double-digit scoring and has put up over 20 points twice. Within this four-game span, Beasley also recorded her 1,000th point, being the 30th Illini to do so. 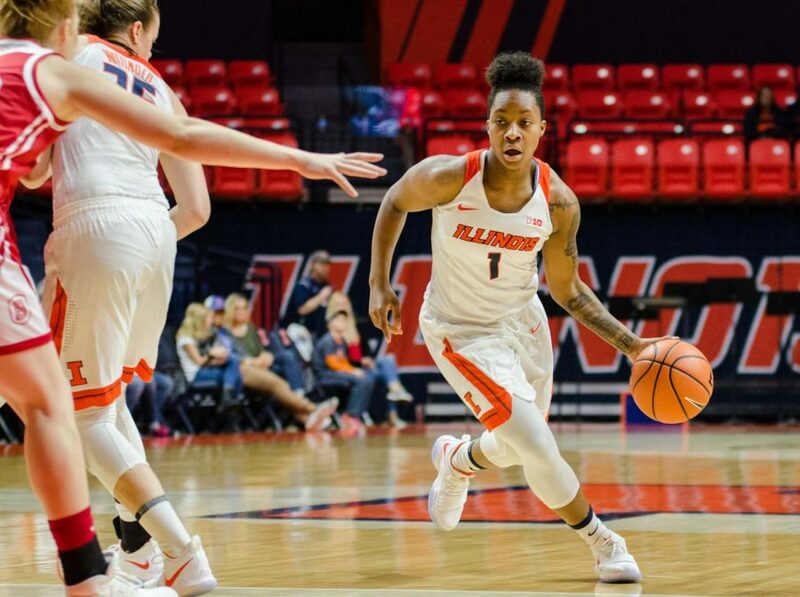 Along with Beasley leading Illinois in scoring against Ohio State, the guard added on five rebounds and three assists, proving her all-around abilities. 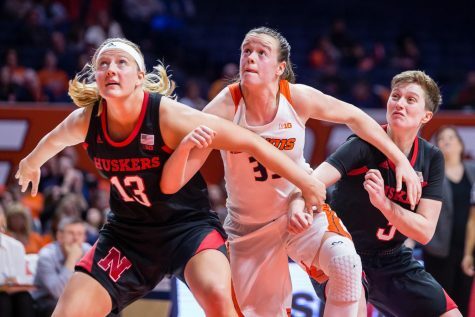 Joining Beasley in double-digit scoring per usual was senior Alex Wittinger, who recorded 18 points and also showed her inside presence with five rebounds and two blocks. Freshman Arieal Scott also impacted Illinois’ offense with 11 points. 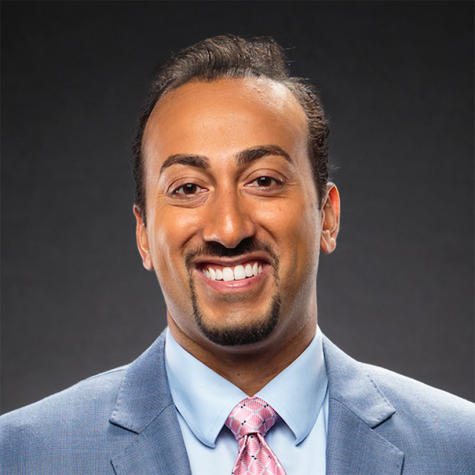 While the Illini’s offense was fueled by shots inside the arc, shooting 42.1 percent from the field and 33.3 percent from three-point range, the Buckeyes utilized both ranges with 44.4 percent success from past the arc and 42.6 percent from the field. 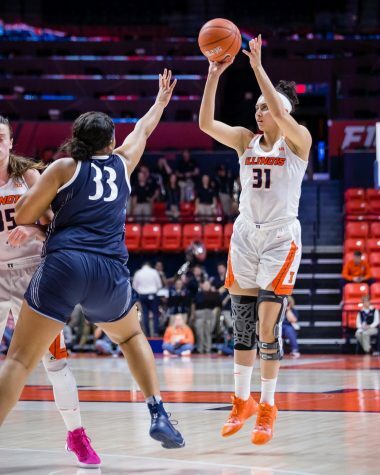 The Illini struggled to defend the floor as four Buckeyes scored in double digits, forward Makayla Waterman leading with 18 points. Waterman also led with seven rebounds and made all five attempts from the free throw line. 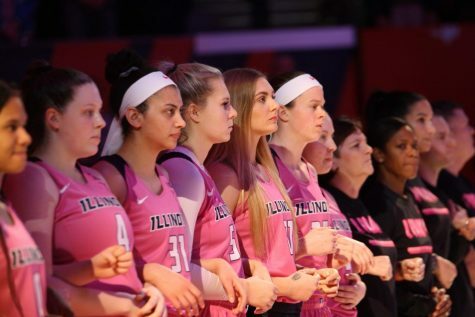 While Illinois tends to struggle in the first quarter, the team held a one-point lead after the first 10 minutes as five Illini contributed to the early scoring. Both sides of the court slowed down for Illinois in the second quarter. 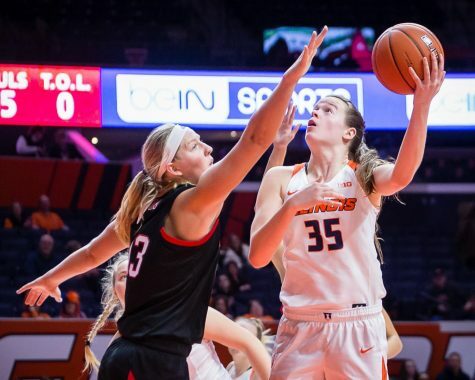 The Illini scored just eight points from 23.1 percent shooting from the field and gave the Buckeyes seven unanswered points in the last minute of the half. 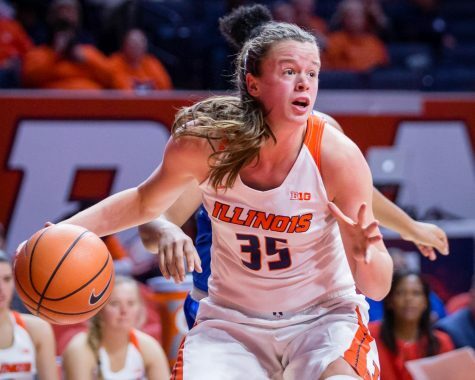 Illinois picked things back up after the break, recording 44 second-half points; however, Ohio State held on to its eight-point halftime lead, putting up 44 second-half points. 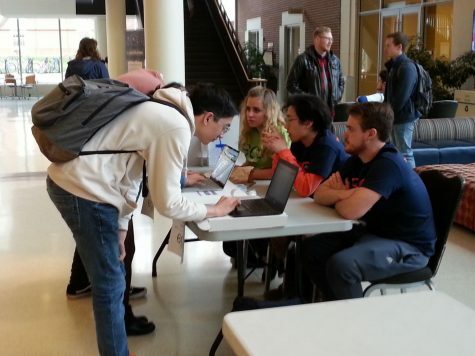 With just eight games to play in the regular season, Illinois will travel back to the State Farm Center to host No. 11 Maryland as the team searches for its second conference win.